Ruth's Chris Steak House is a chain of over 100 steakhouses across the United States, Canada and Mexico. BI-LO is a supermarket chain owned by Southeastern Grocers. Agora is a full service solutions provider that manufactures and markets custom soft goods materials and processes. Its team of craftsmen, designers, manufacturers, product innovators, customer-focused account managers provide top-notch services and solutions for many Fortune 500 companies. Its clients come from the field service, hospitality, logistics, medical, mobile computing, promotional, rescue and safety, and other industries. Established in 1985 in Saint Petersburg, FL, and also has an office in Taiwan. Interline Brands, Inc., headquartered in Jacksonville, Florida, is one of the largest wholesale distributors and direct marketers of maintenance, repair and operations (MRO) products for non-industrial businesses in the United States. Interline Brands distributes a broad range of products such as HVAC, janitorial supplies, plumbing supplies and security supplies. Since 1984, CompuLink has been a manufacturer of fiber optic cables, wire harnesses and custom molded cable assemblies. Its complex cable and wire harness assemblies incorporate printed circuit boards, fans, switches, power supplies, panel assemblies and other high level components for commercial and military, voice, data and video applications. It serves original equipment manufacturers, military contractors and distributors nationwide. The company is headquarted in Saint Petersburg, FL. Johnson Development is a multi-division real estate developer of industrial, multifamily, self-storage, and commercial properties, with a rapidly expanding national footprint. Founded by former firefighting brothers Chris Sorensen and Robin Sorensen, Firehouse Subs offers hot and cold subs, premium meats and cheeses, "steamed" hot and placed on a toasted sub roll. Established in 1994, the company now operates over 1,140 locations across 45 states in the US , and in Puerto Rico and Canada. Its eateries have an authentic firefighter theme due to the importance of firefighting services in the owners' family history. The company is headquarted in Jacksonville, FL. Harry's is an American company that manufactures and sells shaving equipment and Men's personal care products via online and retail channels. Harry's is based in New York. Two Convenient Locations in Miami & the Grove - Quality Custom Framing & Fine Art Printing Services (305) 443-4581.Framer of the Coconut Grove Art Festival. For over 40 years, Jacaranda has been the leading manufacturer and provider of architectural wood veneers which includes our Flagship product, SanFoot. Alico Inc. is a agribusiness and land management company, based in Fort Myers, Florida. Florida Rock Industries, Inc. manufactures and markets construction materials. Its products include construction aggregates, ready mixed concrete, prestressed and precast concrete, and concrete blocks. The company offers mining; processing; distribution; and sand, gravel, and crushed stone retailing services. Additionally, it provides cement and masonry cement importing, grinding, and blending services. Florida Rock Industries, Inc. was formerly known as Shands & Baker, Inc. and changed its name to Florida Rock Industries, Inc. in March, 1972. The company was founded in 1929 and is based in Jacksonville, Florida. As of November 16, 2007, Florida Rock Industries, Inc. operates as a subsidiary of Vulcan Materials Company. Cameron, Hodges, Coleman, LaPointe, & Wright, P.A. is a law firm with offices in Orlando, Daytona, and Ocala, FL. CENTURY 21 Birchwood Realty, Inc. is a full service real estate company in Florida. Century 21 prides itself with having unparalleled technological development, unstoppable growth potential, and good company reputation. It aims to become the cornerstone of excellence in the industry by working for the benefit others. As such, it continuously works on helping and providing service to its customers with excellence, diligence, and integrity. The core of our business is the cruise ship Hotel Services that Apollo Ship Chandlers provides to Oceania, Regent Seven Seas, and Island Cruises, but the scope of our operations. Trinity Services Group is one of the largest providers of correctional food service in the nation. Kobe Japanese Steakhouse is Florida's premier Japanese Steakhouse. Come visit one of our many Orlando area locations today! Book your vacation at the National Hotel oceanfront resort in South Beach. Top Art Deco historic Miami Beach hotel, featuring luxurious accommodations. Fast air conditioning and appliance repair. Serving Fort Myers, Bonita Springs, Naples. Cape Coral, Sanibel & Marco Island. The First Call's On Us! Shephard's Beach Resort offers a variety of accommodations including studio queen, studio king, pool side suite, gulf-side room, two bedroom deluxe, also restaurants, night clubs, bars, venues for weddings and various events. It is an action-packed resort where clients can experience great food, nonstop music, and other features. Its venues often host local bands and national acts. Morgan & Morgan has recovered over $5 billion for our clients in 30 years. More than 420 lawyers in 40 cities. Get your free consultation today. Velda Farms LLC processes and produces dairy products. It offers heavy and heavy whipping cream, as well as whole, reduced fat, skimmed, chocolate, chocolate low fat, strawberry low fat, and low fat butter milk products; and orange juice. The company was founded in 1947 and is based in Lakeland, Florida. Velda Farms LLC operates as a subsidiary of National Dairy Holdings, LP. The Saenger Theatre, also known as the Saenger Theater, is a historic theater in Pensacola, Florida. Bama Sea Products, Inc., founded in 1979, distributes fresh, cured, frozen fish, and seafood throughout the Southeast and Northeast US Owned by the Stephens family, Bama Sea Products aims to bring quality products to market. Bama has also established relationships and shrimp programs with suppliers from around the globe with imports from Ecuador, Peru, India & Indonesia. Its 100,000 square foot, state-of-the-art facility in St. Petersburg employs about 120 people. Interiors Trading Co. has been the recognized source in Florida decorative fabrics With showrooms in Tampa, Orlando, and Jacksonville. Wholesale produce supplier that has been providing services to produce wholesalers, retailers, and distributors for over 35 years. From quality produce to prompt delivery, we aim to continue fulfilling our customers' needs. We are a unique local business carrying quality beads, stones, materials and more. Our store offers classes and the opportunity to create something unique. Eastern Fish Company is one of the world's largest importers and marketers of shrimp as well as scallops, crab, tilapia, lobster and other seafood products. Since its inception, Eastern Fish has remained true to their mission of delivering the highest quality seafood products at competitive prices while maintaining long-term relationships with their customers and their suppliers. This company strives to source products from only the most environmentally and socially responsible supply partners. 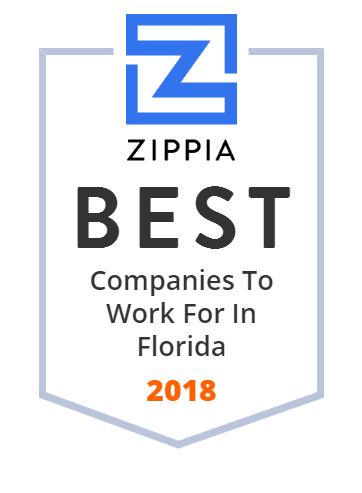 Florida Time Clock, Inc. was established in 4/2/1991 in Saint Petersburg, FL and provides onsite service to the Central and West Coast of Florida. The company focuses on timekeeping products and also resolves clients' technical issues. Its equipment can be found in bars, retail stores, insurance offices, medical offices, government offices, all kinds of manufacturing, military bases, ships, shipyards, and other businesses. PGA National Golf Club, the home of the Professional Golfers' Association of America, is located at the PGA National Resort & Spa in Palm Beach Gardens, Florida. 352-331-0685 - FREE Consultations. Same-Day Appointments. Periodic Promos Available. Event Planning and Consultation. Trivia Event Hosting. Karaoke. Charter Schools USA, founded in 1997 in Fort Lauderdale, FL, is an education management company that manages high performing schools from pre-Kindergarten through grade 12. It assists with all phases of school design, planning, development, financing, construction, operations and curricula. The company represents over 70,000 students and 83 schools in 6 states. Its clients include corporations, government entities, developers and nonprofit agencies. Its philosophy that students always come first made Charter Schools USA a leader in education management nationally. WPC is a General Contractor/Construction Manger specializing in hospitality, multi-family, senior, student, military and affordable housing as well as commercial construction. Artis-Naples. Home of the Naples Philharmonic and The Baker Museum. Artis-Naples is the premier center for the arts in Southwest Florida. Artis-Naples produces more than 300 concerts, art exhibitions and educational events each year. Ironwood Construction specializes in commerical and industrial steel fabrication, millwright, heavy equipment placement and pre-engineered buildings. For 10 years, we have served customers in Boca Raton, Delray Beach, Boynton Beach, Broward and Palm Beach Counties.Authorized Moen grab bar distributor.